I apologize . . . I feel as though I need to apologize to Ken from McDonald's. 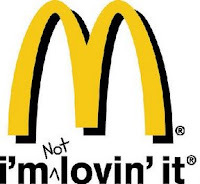 Two nights ago at 10 PM, I stopped in the drive through at the Marshall, Michigan Mickie D's (1260 W. Michigan Ave, Marshall, MI). I was impressed upon pulling in. It is a two-station drive through. Naturally, I chose the wrong one. I waited for five minutes for the woman to come on and take my order. She looked out the window at me. I could see her lips moving, but couldn't hear her talking. I waited. And I waited. I waited some more. Finally I just pulled up to the window. She said, "that will be $4.58, please." "But I didn't order anything," I explained, "I've been sitting in the drive through for five minutes waiting to order something, but nobody wants to talk to me." "Wait a minute," she said as she slammed the window on me. I waited. And I waited some more. I pulled away from the window (rather quickly), and went inside. Beverly met me at the counter and, after about a five minute wait for the two other gentlemen standing at the counter, she took my order. After buying burgers I was asked, "can I get you anything else?" "I would like to speak to the manager, please," I said. She turned and said, "Ken, this gentlemen needs to talk to you." "He'll need to wait." When Ken finally stopped by to speak with me, admittedly, I was pretty hacked off. "The reason for a drive-through, Ken, is so I don't have to come inside and get my food. I waited for five minutes without ordering my food before coming inside, and when I got inside I waited another five minutes. That's not acceptable." Ken said, "How does that give you the right to yell at my drive-through staff?" Huh? "I did not yell," I told Ken. "But you gave her an attitude," he replied. "If rolling up my window and pulling away is giving her attitude then, yes, I am guilty." "Well, we don't have to tolerate it," Ken said. At this point I began getting pretty upset, and this is the part I need to apologize for. "You know, Ken," I said, "I worked in food service, and whenever we messed up, we simply apologized and tried to make it right." Blank stare. Then, "So what do you want me to do about it?" "Maybe I need to go to Burger King," I said. "Maybe you do," he replied. Ken spun around on his heel and walked away. Beverly handed me my food and said sweetly, "I'm really sorry about that." "Thanks, Beverly." I think she was the only one who got it. Maybe it was because it was so late, or maybe it was because I'm tired of all the holiday hoopla, but I didn't handle that as well as I could have . . . I visited with a Lebanese pizza maker last night while waiting for my ham and pepperoni pizza to come out of the oven. A young mother of two school-age daughters, she immigrated to the United States several years ago to escape the constant warfare of her native country. "When I was a child, Lebanon was predominantly Christian," she told me. "Since the coming of Hezbollah, though, the Christian majority is shrinking. Muslim families have six, seven, ten children, and Christians have at most three. We're becoming outnumbered." She went on the explain that Palestinians from Israel have flooded into southern Lebanon, using her homeland as a base to stage attacks on Israel. "I completely support Israel in their attacking of Lebanon because, when they attack Lebanon, they are attacking Hezbollah. The Palestinians come to Lebanon to fight against Israel. If they want to fight Israel, let them do it in Palestine and not in my country." Her partner in the pizzeria is also a Lebanese immigrant. Two years ago he and his wife adopted a baby from Lebanon. His wife, in fact, was in Lebanon to pick the infant up when war broke out between Israel and Lebanon. Her return to the U.S. was doubtful before congressional leaders from Michigan and State Department officials intervened. Eventually, the U. S. Marines escorted them to safety. His story received such notoriety that he appeared on Larry King Live. Speaking of the United States he told me, "This is the greatest country in the world. People who don't believe that should see places like Lebanon. Here there is peace and everybody has the opportunity to build a better life." Earlier this year I read Thomas Friedman's book, From Beirut to Jerusalem. His first-hand account of Beirut's deterioration from "the Paris of the Middle East," to a squalid, war-torn city filled with pock-marked hovels is sad and instructive. My two Lebanese friends had enough and left in search of something better for them and their children. They found it in the United States of America. I wish that folks who constantly run down the U. S. could see this country through the eyes of those who've seen suffering abroad. Still, they hope to return. "I have family in Lebanon, and I plan to return there when I am old," Petaline told me, "but right now there are no jobs, no opportunity. That is why I am here." Regular readers of Frankly Speaking will notice the new addition at the bottom of the column to the right of this posting. Cluster Map shows the location of the various IP addresses of the folks who've accessed Frankly Speaking. There are 23 nations from five continents represented. Don't ask me, I have no idea why . . .
My kids and I spent about two hours Tuesday night playing Guitar Hero III - the latest of the Playstation games that are bringing back the hits of my childhood. My son, Caleb, is a whiz at the game. I struggled to play the bass guitar on "Sweet Child of Mine," while Bubba started the song in hard mode before turning around to play the lead guitar facing away from the television. Then, just to show his complete dominance over the old man, he laid the guitar on the floor and played it with his feet while I continued to fumble around on "easy" setting. Did I mention he plays the drums, too? Uncle Marty took the boys to Wal-Mart on Monday to pick a few things up for Christmas. He dropped Caleb and Jonah off in the electronics department where they found the latest game. It's like Guitar Hero, but it includes a set of drums. Caleb, who plays in the percussion section for the Grand Ledge High School marching band, set the game to expert and proceeded to smoke it on the first time he ever saw the game. Marty told us later that Caleb actually drew a crowd with his "performance." We had a ton of fun with my mom and dad, sister and brother-in-law, and their kids. I hope your Christmas was blessed, too, and that the promise of the New Year brings you hope and determination. We have had a lot of requests to replay the phone call that Pastor Mike shared during our church service on Sunday, Nov. 11th, 2007. Here you'll find the video clip that was created just for you. We've placed the video on YouTube so that you can watch it and share with family and friends. I realized today that I am fully integrated into the Michigan culture when I opened my trunk and saw the tree stand that I've been carrying around since early October. You never know when you might want to shinny up a maple tree to ambush some unsuspecting deer. Lots of guys carry stuff around in their trunks. Passionate golfers carry their bags around from March until November. My dad, although never a boy scout, lived by the "be prepared" motto. To this day he still carries around a small toolbox with everything he might need during a breakdown. Tony Soprano carries around dead guys in his trunk. Okay, I made that last one up. He has his people carry around the dead bodies. What's in your trunk? Are you hiding something? Maybe not literally, but I suspect most of us have an item or two tucked away behind the back seat where no one can see. This is not good. Last night Mrs. Frankly and I hit a couple of stores for some yuletide shopping. There were several bags in the trunk when I picked up the two youngest Franklies from youth group. Normally they toss their school bags and whatnot in the trunk. Absentmindedly, I hit the trunk button and popped the lid. The next thing I heard was my wife yelling, "get out of there boys!" 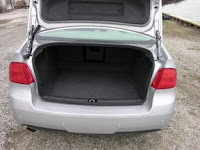 Once something is in the trunk, we do our best to keep it in and keep others out. This, too, is not good. This is the message we have heard from him and declare to you: God is light; in him there is no darkness at all. If we claim to have fellowship with him yet walk in the darkness, we lie and do not live by the truth. But if we walk in the light, as he is in the light, we have fellowship with one another, and the blood of Jesus, his Son, purifies us from all sin. If we claim to be without sin, we deceive ourselves and the truth is not in us. If we confess our sins, he is faithful and just and will forgive us our sins and purify us from all unrighteousness. Its pretty simple, really. Trunk closed, light off, no fellowship with God. Trunk open, light on, sin forgiven. Love wins . . . Saw this bumper sticker on a Volvo earlier today: "Love wins." "Joseph, son of David, do not be afraid to take Mary home as your wife, because what is conceived in her is from the Holy Spirit." Joseph, a righteous man, takes Mary home; raises her son as his own. Love wins. Twelve years later Mary and Joseph search hysterically through a web of streets and alleys for their lost son. Racked with fear for what might be, they find him sitting among the elders, a child prodigy impressing the old men with the depth of his questions. "Why did you do this to us, Jesus?!" "I had to be about my Father's business," is his matter-of-fact reply. Love wins. The lawyers want to kill her. No one comes to her defense, no one disagrees. She's a whore, after all. What is more, she's a tool they can use to trap the carpenter-turned-rabbi from Nazareth. "What should we do with her, Jesus?" "Whichever of you who is innocent . . . clean . . . without blemish . . . you throw the first rock." Love wins. Standing outside a tomb. Mary and Martha pull their cloaks over their mouths and noses. After three days, the stench will only magnify the pain of losing their brother, their protector, provider, legitimizer. "Lazarus, come forth!" Shuffling from his tomb he comes, dragging his death clothes with him. Love wins. "Father, let this cup pass from me. . ." He prays in the garden. He doesn't want to die. His Spirit wages war with His flesh. The pain of an agonized death versus the pain of a lost humanity. "Yet not my will, but yours, Father." Love wins. "Eloi, eloi lama sabachtani?" "God, why have you forsaken me?" "Abba! Where are you daddy?" He gives up His spirit, slumps forward, breathing stops, the struggle ceases. Love wins. Peter and John race to the tomb. John, the faster, out paces his old fishing partner. Jesus is not there. Mary says He is risen. She says she's seen him with her own eyes! Christ is risen; He is risen indeed! Love wins! The sky splits. Angels descend. Riding on a cloud, surrounded in light, trumpets blaring, He returns to call His own to His side. No more night; no more death or pain; no more tears. God dwells among them. They are His people, and He is there God. Satan banished to the pit, nevermore to assail. Put that on your Christmas cards this season. Let those two words inspire and motivate you to greatness. Christian brother, Christian sister, you win. I win. Because . . . This link to a story about Wal-Mart appeared in my inbox today. Shame on Wal-Mart. With billions in corporate profits, they pick on the little people. Regular readers of Frankly Speaking know that I rarely step on the anti-corporate soapbox. I certainly don't bash Wal-Mart, as they've saved me tons over the years. Now I'm wondering if I should continue to shop there . . .
Michigan's early primary has forced me to begin thinking through my vote considerably earlier than in the past. I am struggling to decide who to vote for. I appreciate Mike Huckabee, but am perturbed by his fiscal policy. I like McCain on immigration. Mitt Romney's state was the first in the nation to marry homosexual couples. Where was his leadership on that issue. Mayor Giuliani's pro-choice position, when coupled with his marriage problems, makes me wonder about his commitment to the family (Dr. Dobson notwithstanding). Jon, a guy I play hoops with on Tuesdays and Thursdays, is urging me to vote for Ron Paul, but I can't bring myself to vote for a guy whose part advocates the legalization of marijuana. I'm thinking Keyes more and more. I wonder . . . is he even on the ballot in Michigan? [No, as t turns out] Now who? 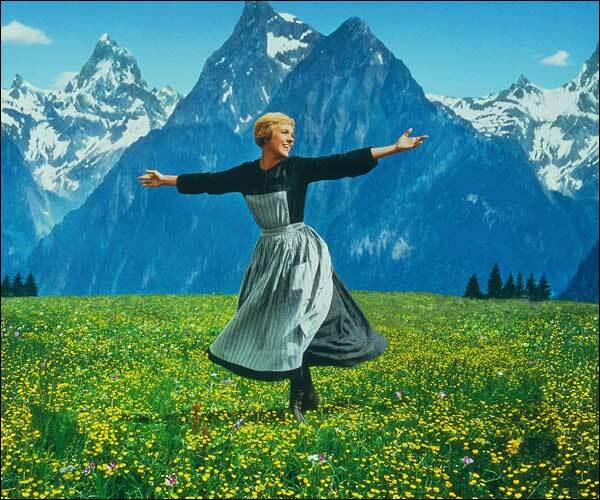 Wally and I are working on new lyrics to the Sound of Music classic, "My Favorite Things." (I haven't actually told him he's helping yet, though.) You know the one: " . . . when the dog bites, when the bee stings . . ." We want to create the guy version of the song. No cream colored ponies for us. Crisp apple strudel? More like buffalo wings, I think. Here's my question, men. What are your favorite things. Fill me in, and you could be immortalized in this soon-to-become classic. Check out the two hot brunettes I saw eating lunch outside my office window earlier today. I was able to take their pictures without them noticing I was staring. They were only about fifty feet from my office window, and they were wearing . . . well, let's just say they were wearing only what God gave 'em. 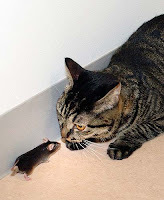 Ananova is reporting that Japanese scientists have created a genetically modified (GM) mouse that does not fear cats. Think about that a minute. Do you suppose that, out of respect for the mice's newfound confidence, cats are going to throw in the towel. As sure as Tom chases Jerry, I don't think so. There is a reason that "mousy" is a synonym for "timid," "fearful," and "shy." That's how mice are supposed to be. It's what has kept them around for the thousands of years since they managed to avoid being trampled by the elephants on Noah's ark. Humans have their own version of fear avoidance. Although not genetically modified to avert our natural fears, we certainly have been culturally modified (CM?) to lose them. There was a time when a boy feared getting his girlfriend pregnant. When my friend Mike got his gal pregnant in high school, his father made him drop off the football team, get married, and get a job. Just a few decades earlier he would have been forced to quit school, too. Fear of early fatherhood kept us in check. It helped that girls were equally afraid of having to quit the cheer leading squad, and worried that their reputations would be sullied by over-amorous behavior. Not any more. There isn't any fear of pre-marital sexuality any more. Not even the fear of sexually transmitted diseases has curbed our sexual appetite. I actually heard a radio doctor reading from a recent medical journal study encouraging early sexual activity as a means of avoiding teenage participation in vandalism. What? There was a time when one of the most fearful four letter words in the English language was DEBT. The very idea of having to file bankruptcy was a horrifying as being quarantined for typhoid or tuberculosis. Families avoided debt at all costs. Maybe, just maybe, one would get a mortgage for a home, but never something so extravagant as a car, certainly nothing trivial like furniture or jewelry. Not any more. Credit companies market to consumers by suggesting that, not only is it good to pay with "the card," but it is preferable to paying with cash. Paper money just gums up the giant capitalist machine. I've often heard the phrase, "a healthy fear," but I've never been too sure what that means. Maybe it is something akin to what I feel whenever I have to work with the wiring in my house. I fear, frankly, being electrocuted. That is, very literally, a healthy fear. Breeding the fear out of mice is one thing. But I'm pretty certain taking the human fear gene away, and its cultural equivalent - the relaxing of proper and helpful social norms - is not a good thing. At the very least, we're creating successive generations of men and women for whom, "No Fear" is more than a brand of clothing or a catchy idea for a "reality" show, but rather a mantra that leads to self destruction. At it's worse, though, we're creating a conscienceless culture where anything - and anybody - goes. Frankly speaking, that's not a good thing. For years I've amazed my wife as the only person she knows who actually wants to serve on a jury. Whether it is my highly developed sense of civic duty, or just my fascination with the legal process, I've always wanted to the opportunity to see the legal process up close, but I've never had the chance. Until now. 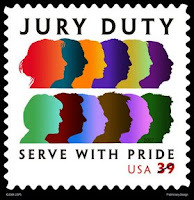 I was called for jury duty today. Where I no longer live. Not so much . . . no . 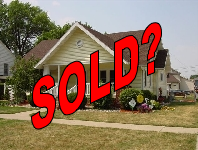 . .
Our realtor called to let us know the buyer for our house could not get financed. Seems the mortgage underwriters want you to have a job before they loan you $93,500. Go figure. So we're back on the market. Please pray that our home will sell. And, if you provide the lead for the person who buys it, I'll personally give you a sloppy wet kiss, or cook you a steak dinner with all the trimmings - your choice. Our church is planning an amazing Christmas Eve service for December 24th. At 11 p.m. 600 folks will gather at South Lansing Christian Church to celebrate the coming of light into the dark world. 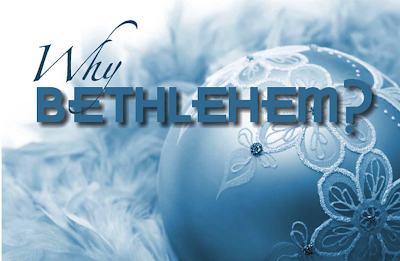 We'll be answering the question: "Why Bethlehem?" Jesus could have been born anywhere. Rome makes sense. It was the political center of the known world at the time. The most powerful nation in existence, Rome was a logical choice. Perhaps Greece. As the intellectual center of mankind it would have made sense for the "word to be made flesh" in a culture where words were so highly prized. Maybe even in central America with its ancient Mayan culture. As they looked to the sun god, it would have made sense for the Son of God to illuminate their darkened thinking. Come on December 24th. Bring the kids in their jammies. Be surrounded by family and friends. Bask in the soft low of candles and Christmas carols. "Come to Bethlehem and see Christ the Lord the newborn King." It is 8:00 a.m. in Lansing. Just beyond the pane of glass that separates me from 26 degrees of cold the world is beginning to hum. When I left the house this morning it was still dark, and yet there were a lot of people up and at it. The interstate was bumper to bumper for some reason. I listened to Mad Dog in the Morning arguing with morning show callers about Mike Martz and his job as head coach of the Detroit Lions and who should replace Michigan coach Lloyd Carr. The quiet of my office, and the soft whooshing of the heat duct is a welcome reprieve from the hectic pace of the drive in. As the sun peeks over the horizon it casts shadows across the field that I can see just above my computer screen. Drab, lifeless brown weeds change their hue in the morning light. They look almost golden. In the background the steam rises from the Board of Water and Light smokestacks, silhouetted by a blue sky that is punctuated with a few low-hanging clouds off in the distance. Pink when I sat down to type, the colorful sunrise palette is fading to a more sedate wintry blue and gray. Maybe I'll see a deer or two today. Last week a young buck scampered into the field about thirty yards from where I sit. He stopped to dine on the pumpkins my sons threw out for him to eat. I walked into the office and flipped on the light. His head shot up and he looked my way, a hunk of orange hanging from his mouth. He gnawed on his Thanksgiving snack, walked over to the salt lick for some after dinner seasoning, and then ambled toward a thicket. Perhaps I'll see that gimpy doe again with her two young ones. She has a limp in a hind leg - probably the result of being a city dweller who dodges cars if not bullets. At least she doesn't have to worry about hunters, just how to get from food to water and back. She too stops by to nibble on the salt block. She never says "thank you," but she hangs around long enough for me to feel as though some quid pro quo has taken place. There is a light dusting of snow on the ground. Soon I have to head back out into the bluster. I hate the cold, but the trip will be worth it. I'm headed a few miles up the road to Michigan State University, and its fields full of Hereford cows grazing on corn stubble and the leavings of this year's harvest. All things considered, God has blessed me with a great start today. I hope he has blessed you, too.